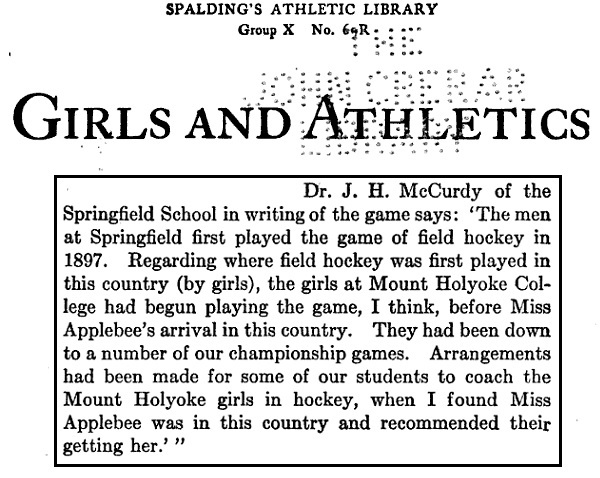 It is impossible to overstate Constance Applebee’s importance with regards to the early history of college field hockey in the United States. Her boundless energy and evangelical zeal for the sport changed the landscape of female athletics in this country forever. 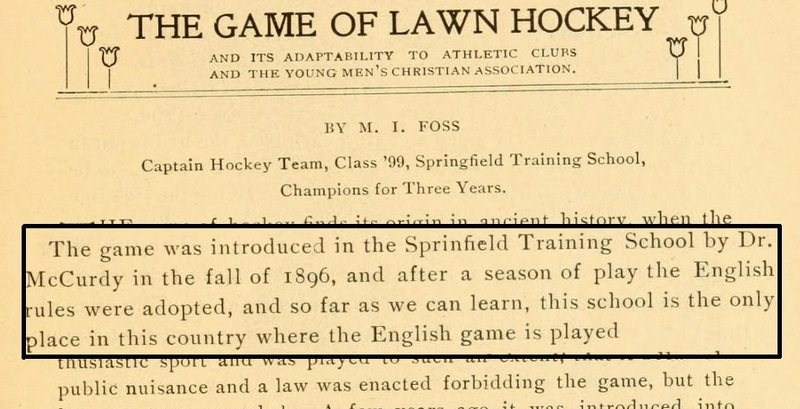 But the idea that field hockey didn’t exist on college campuses in the United States before her arrival in 1901 turns out to be not entirely true. 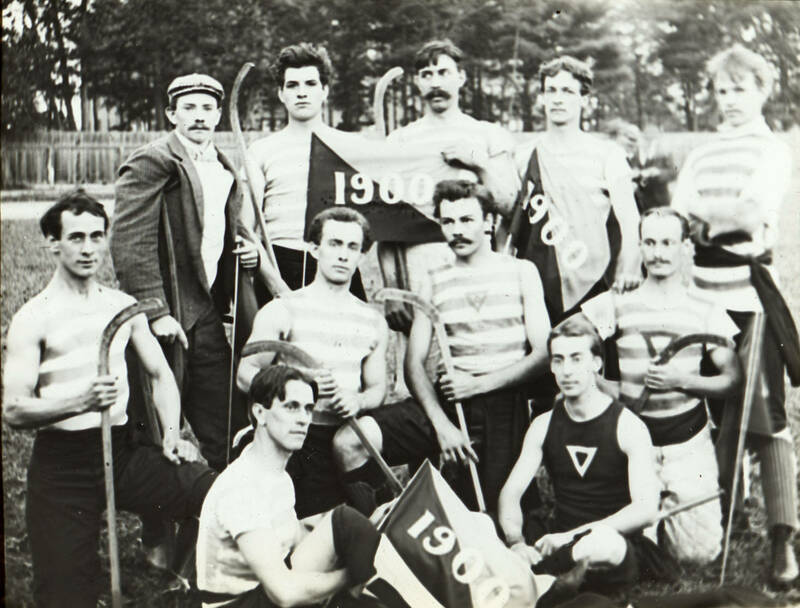 I found it online here, and the description indicates it is a picture of “the YMCA Training School’s (now known as Springfield College) 1900 lawn hockey team.” Springfield College was a hotbed of athletic innovation around that time, having been the site of the invention of basketball in 1891 and the early development of volleyball in 1896, so it isn’t surprising to learn that it was ahead of the curve with regards to field hockey. So now I have some new things to look into. Where did James McCurdy learn of field hockey, for one thing. And now I really have to look more closely at what was happening at Mount Holyoke. Posted on November 28, 2014 November 30, 2015 by Eric MeanyTagged Constance Applebee, James McCurdy, Mount Holyoke, Springfield.